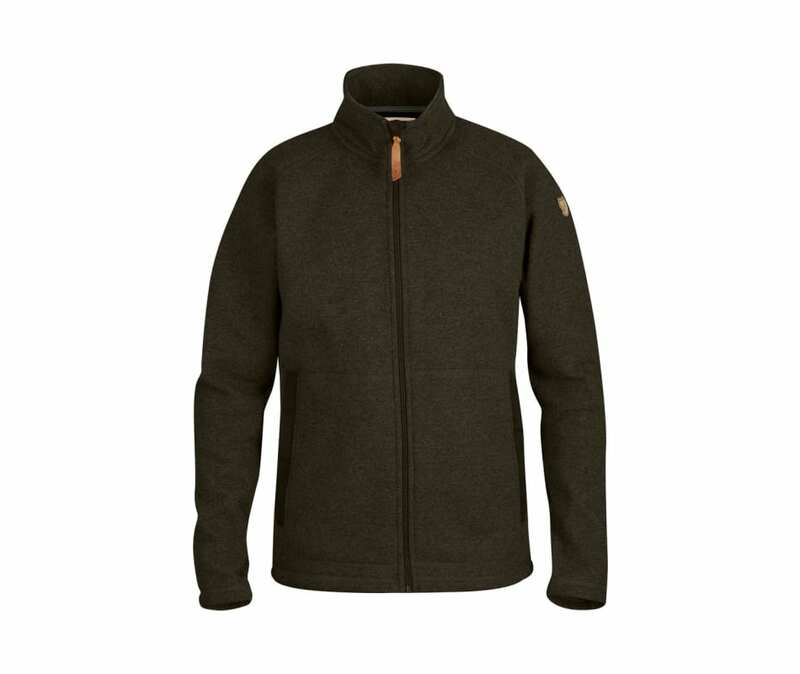 Comfortable fleece in soft, warm wool blend with knitted outer layer. A stylish garment that can be worn in the outdoors, for everyday activities and when traveling. Offers a lot of warmth when worn as a middle layer under a shell jacket, but can also be worn as a lightweight outer jacket during warmer seasons of the year. Two-way zipper and high collar with protective chin flap. Two large zippered pockets with room for both your hands and your gloves. Pocket openings reinforced with G-1000 Eco.